I took advantage of my first day by shopping in SoHo. Being on a time crunch, I decided to only stop by stores I don’t have back in San Francisco. 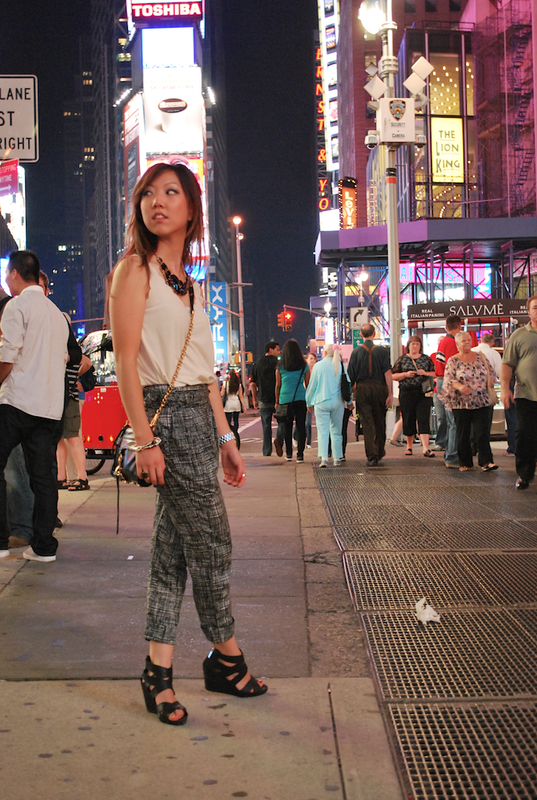 Uniqlo and TopShop were my top priority, followed by a bunch of boutiques down the street. On our way to Cafe Habana (a cafe well known for their mexican corn). We came across this street & I instantly fell in love with their brick paved flooring and decided to stop to take some photo’s. Him picking me up was totally his idea not mine haha. Times Square looks so much different at night than day. The vivid and multi-colored lights displayed throughout the projections on the street really does provide a sense of euphoria that makes New York the sleepless city that it is. Until next time, so long New York! New York seams so amazing! I hope I will visit someday! These photos are amazing! I just love that red dress you wore! Beautiful! I love shopping around SOHO! There are so many great stores even if you're just window shopping. 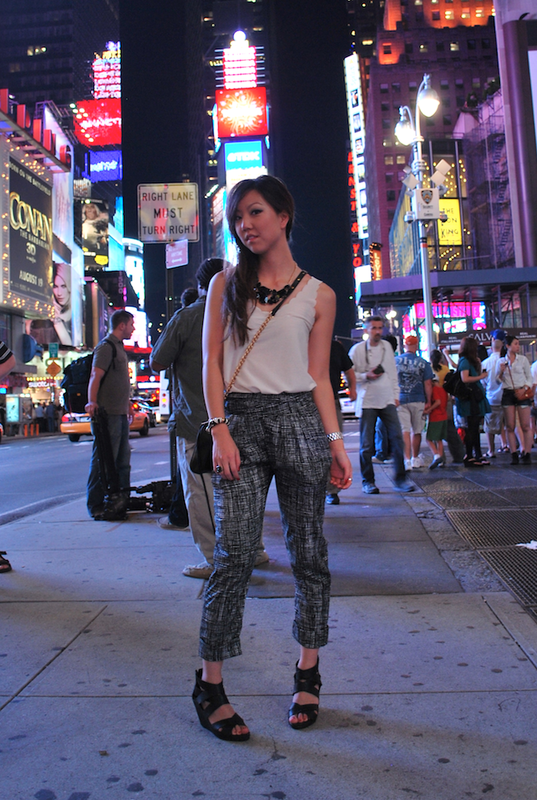 Also really like the pants you're wearing in times square at night. It's amazing the way it looks like it's daylight. 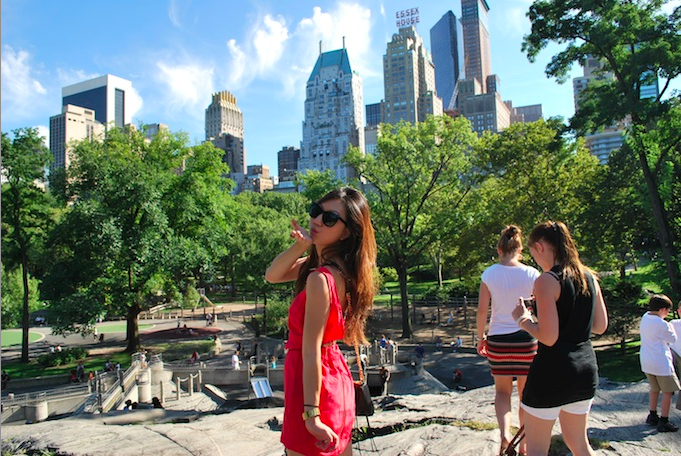 oh my gaaawd…what an amazing NYC trip!! aaaah so jealous!! looks like you had a great shopping experience…smart idea to stop by the shops we don't have on the west coast!! I just got so excited over how you captured the city!! every aspect of it!! and you looked sooo chic haha. I used your photo at http://www.mystylesources.blogspot.com, if you don't mind! 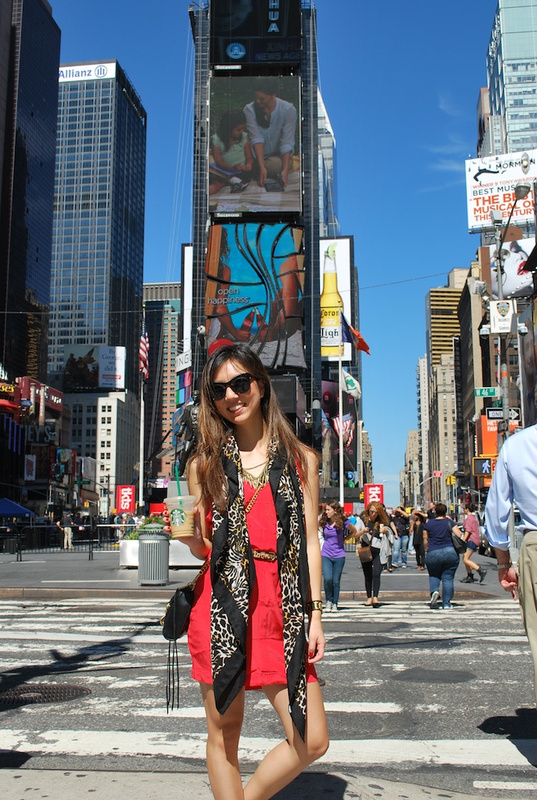 You are stunning, amazing style and love your blog! Beautiful outfits! 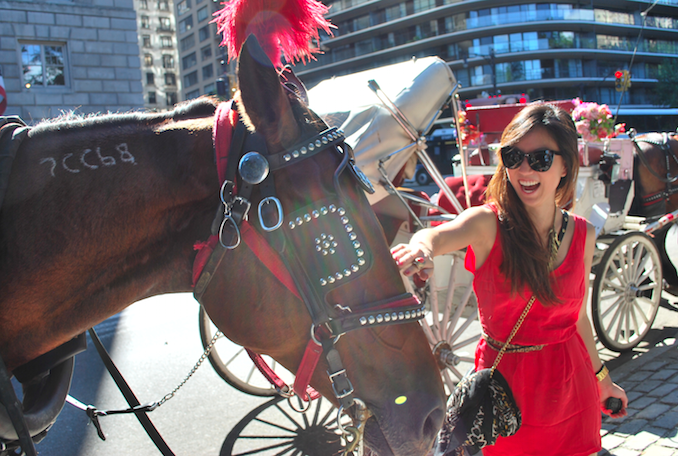 I hope you had an amazing time here, love the photo of you and the horse!